The rose breasted (or galah) cockatoo is an Australian cockatoo species with distinctive pink and grey plumage. They are a highly intelligent, social and adaptable animal— bonded pairs have strong lifelong bonds with their partners. Like other cockatoos, the rose breasted cockatoo is one of the loudest of all the parrots; they make loud, screaming noises to communicate with one another (and often screech just for fun!). 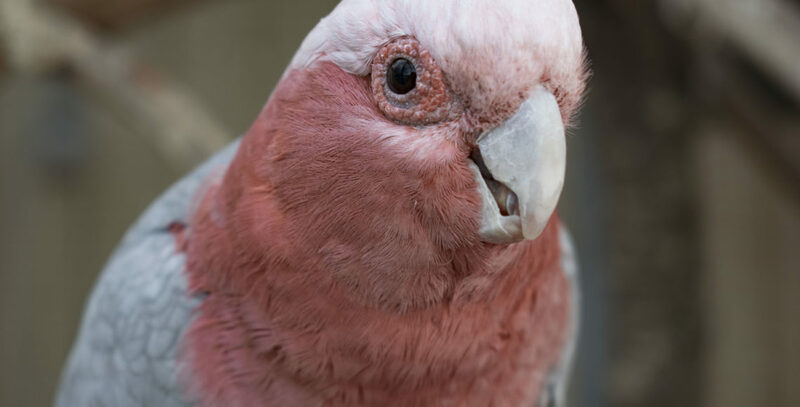 In Australia, the word “galah” is used to describe someone who is acting silly or foolishly.